I don’t know about you, but whenever I am scheduled to go away for a vacation, am planning an outdoor party, or have a tee time booked for a round of golf, I do a little “weather shopping” in the days leading up to the occasion. “Weather Shopping?”, you ask… come on, don’t pretend you don’t spend hours searching multiple weather forecast sites, looking for one that convinces you the weather will be just as you want it on the day of your event. Weather.com predicts 60% chance of rain….well, then I’ll go check weatherunderground.com which predicts only 20% of rain, isolated thunderstorms, and just a light breeze – yeah that sounds much better. In similar fashion, I’ve recently found myself “horoscope shopping”, trying to find the most positive – or in my case this year, the least damning predictions for the approaching Chinese New Year. 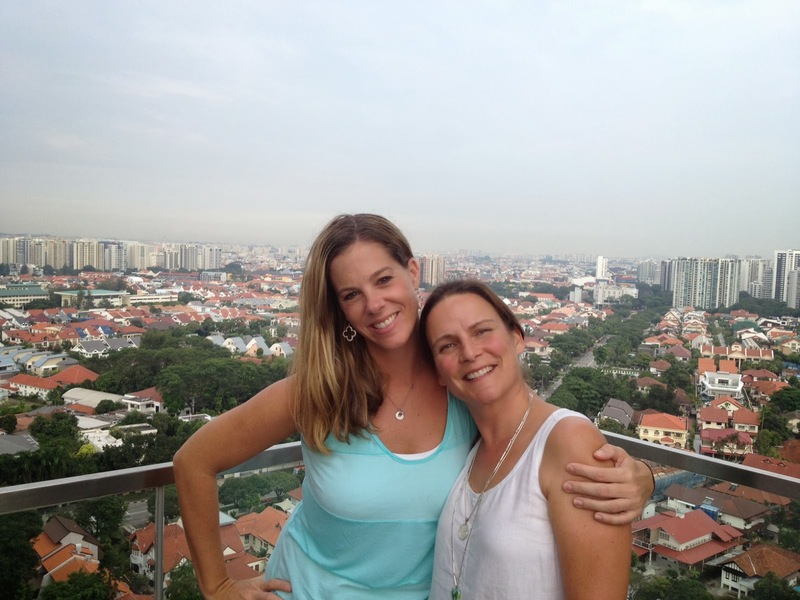 In Singapore, Chinese New Year and the festivities surrounding it are a big deal. (read last year’s post for some observations). And while there are numerous traditions bringing families together, and rituals to welcome good luck – there are also warnings for danger in the new year. 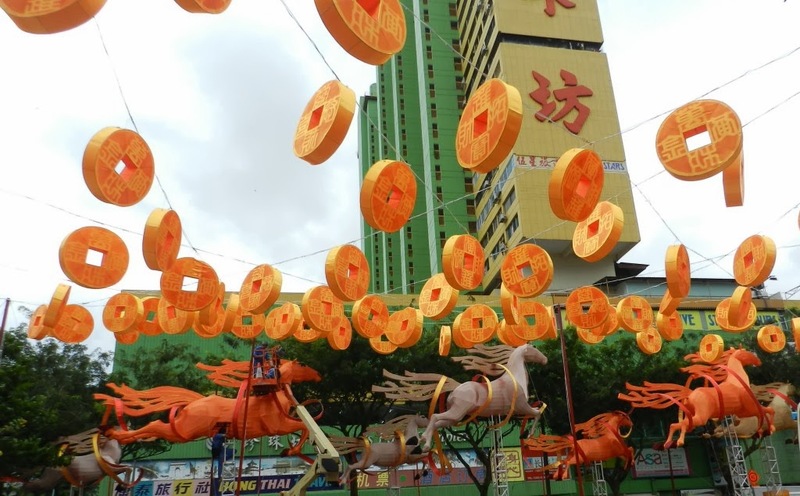 This year, Chinese New Year comes on January 31, and welcomes the Year of the Horse! 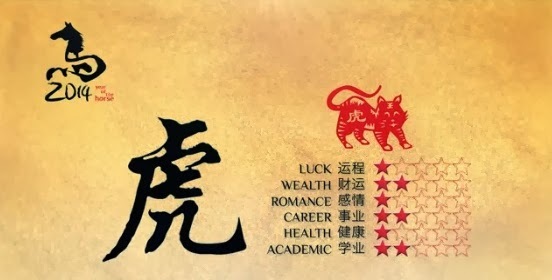 Depending on which Chinese Astrology web site you consult, you’ll likely read that the horse symbolizes everything from graciousness, dignity, and momentum – to energy, self-improvement, and intelligence. 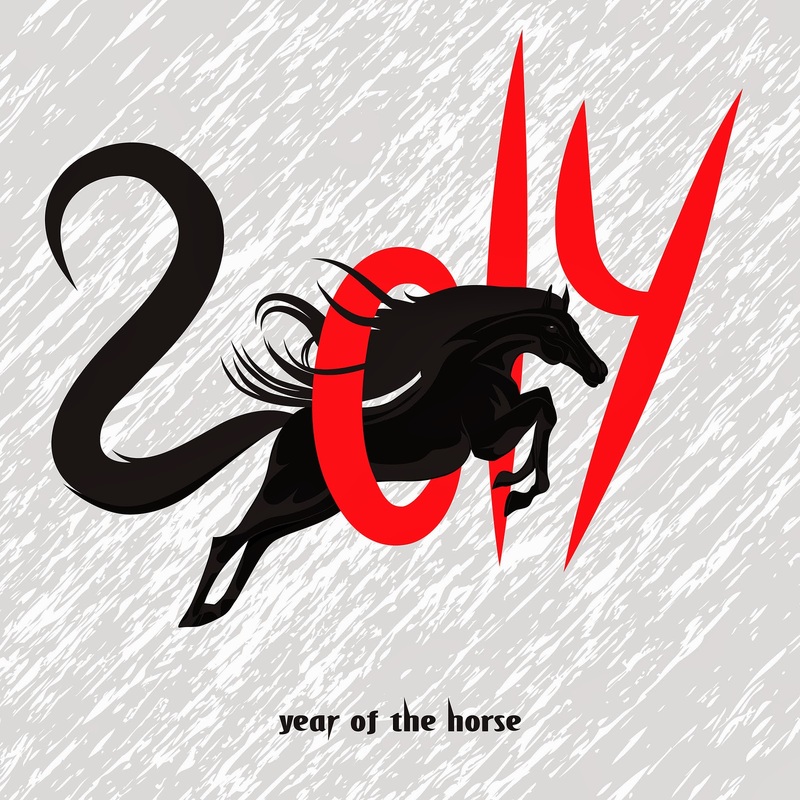 Within the walls of SAP, I’ve heard sales leaders, co-workers, and even the Industry analysts I meet with, proclaiming the year of the horse as one of innovation, progress, prosperity, and re-invention. But – they must not have been born during the year of the Tiger, because at every turn, I hear that the coming year of the horse brings bad luck for Tigers like me. In fact, according to Grand Master Tan Khoon Yong, Tigers are ranked last among the 12 zodiacs during this year of the horse! And while many of us might view astrology as “hocus-pocus mumbo jumbo”, do we really disregard it altogether? Personally, I don’t buy into the daily or weekly horoscopes, and honestly don’t think I’ve read one since my co-workers in Singapore pointed me to my Chinese New Year reading last year. Last year, however, these same co-workers decorated their desks and left offerings for the Lion Dance that comes to the office just before New Year. Lion and Dragon dances are common around the new year in Singapore, with the lion accepting offerings in exchange for casting out evil spirits and leaving behind good luck. For my co-workers, in addition to a red envelope of cash, they left four packets of numbers with the expectation the Lion would choose a number from each packet. The four “lucky” numbers that were left behind were played in the next lottery drawing… and they won! So, I’m not taking any chances… I’ll be decorating my desk for the Lion Dance this week, and am continuing to “shop” the internet for a more optimistic take on my year ahead. At this point, The Chinese Fortune Calendar and Huffington Post are both getting a nod from me, as they predict significantly better years than the Grand Master… but can I really disregard the GRAND MASTER? December in Singapore is typically wet...very wet. In fact, Sophia and Cooper's comment, "you never know when it's going to rain" really doesn't apply this time of year, because you do know. It's ALWAYS about to rain in Singapore in December. So, with Jennifer's parents in town during the wettest time of year, we decided to schedule a short trip to somewhere a little different and where we knew we'd find more sun. After all, we figured Kathy and Grant would enjoy some sun and sand after traveling nearly 10,000 miles and leaving behind one of the coldest, snowiest winters in years! 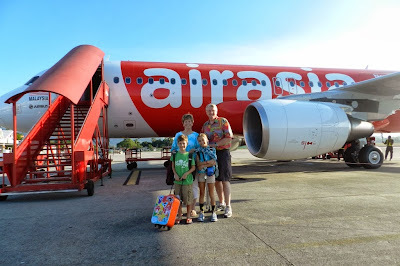 Our destination for this quick trip was Langkawi, Malaysia. 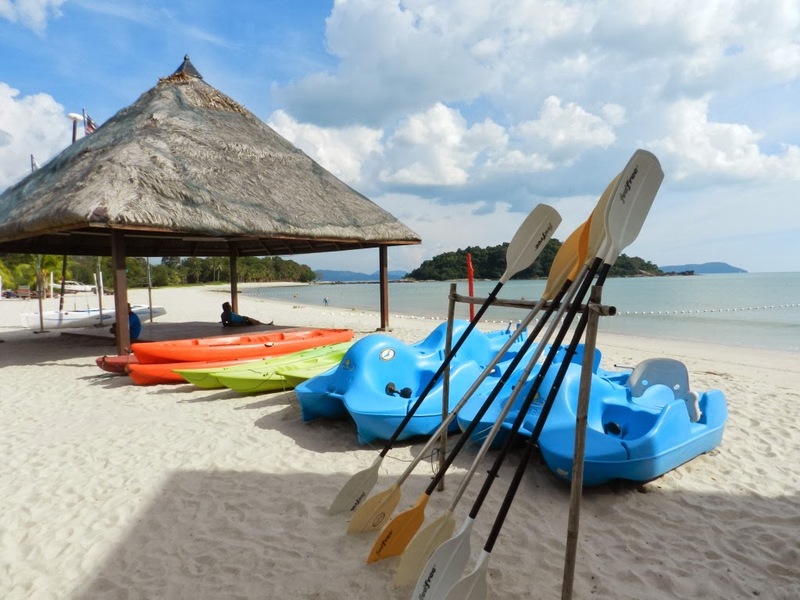 Officially, Langkawi is a collection of over 100 small islands in the Andaman Sea, about 15 or so miles off the coast of mainland Malaysia, and directly on the border with Thailand. Our visit was to Pulau Langkawi, the largest of the islands and the most popular resort destination. We selected the Berjaya Resort, largely based on TripAdvisor reviews and a desire to experience the "over-water" villas. The villa layout was reminiscent of the Maldives, and at this point we know that we are out of time and will not make it there. So it checked lots of boxes! 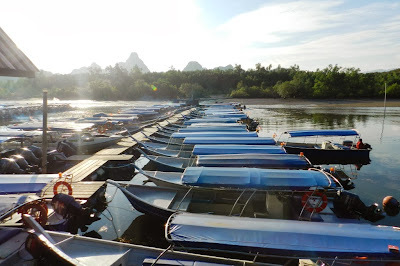 The resort was very large and spread out, which for some TripAdvisor reviewers was an issue. 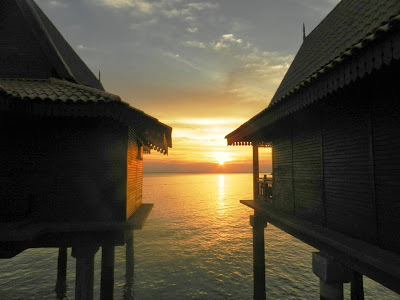 While we have typically opted for the smaller, more personal hotels during our trips throughout Asia, we found Berjaya to be very comfortable, and several employees provided a very personal touch that made our stay wonderful. Apparently, size really doesn't matter. Our villas were located side by side, perched over the Andaman sea and offered amazing sunset views every evening. The rooms were large and included a king size bed, sofa, large bathroom, and good size patio overlooking the sea. While the resort was large, a quick call to the front desk sent a shuttle our way, which would take us anywhere we wanted to go within the resort - and on most occasions, that was the beach, the pool, and the beach restaurant. The beach and pool were both very nice. The pool had a swim-up bar, waterfall, plenty of lounge chairs and friendly wait staff happy to bring you another cold drink. The view was really amazing, with heavy vegetation and palm trees framing the pool area and the 2,300 foot high peaks of Mount Chinchang jutting up in the background. The resort also has a short mangrove walking path, if you want to get up an personal with some of the wildlife. Just be careful what you wish for. Sophia and I came across a few hornbills as well as a monitor lizard that must have been at least 6 feet long. 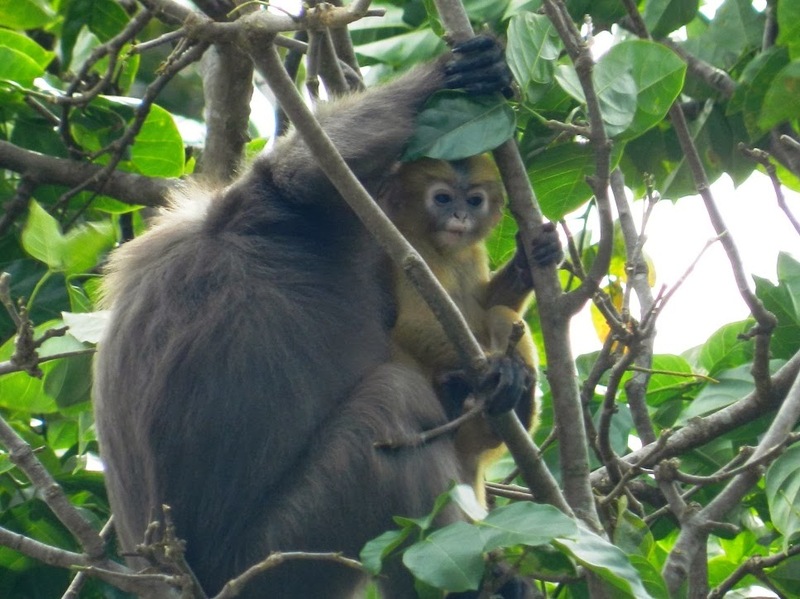 And even if you aren't walking off the beaten path, the area around the resort is home to Macaques and Dusky Leaf Monkeys. The latter paid us a visit in the trees by the pool on one afternoon, but weren't really much of a bother. 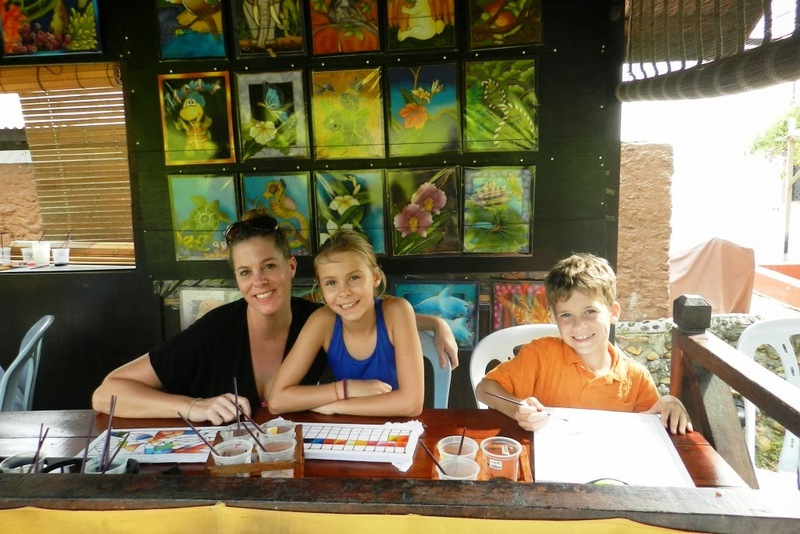 While we spent much of our stay at the resort, relaxing and enjoying the sun, we did venture out on two excursions during our brief stay. For the first, we took the short, three minute shuttle ride (ten minute walk) from the Berjaya Resort to the Oriental Village. 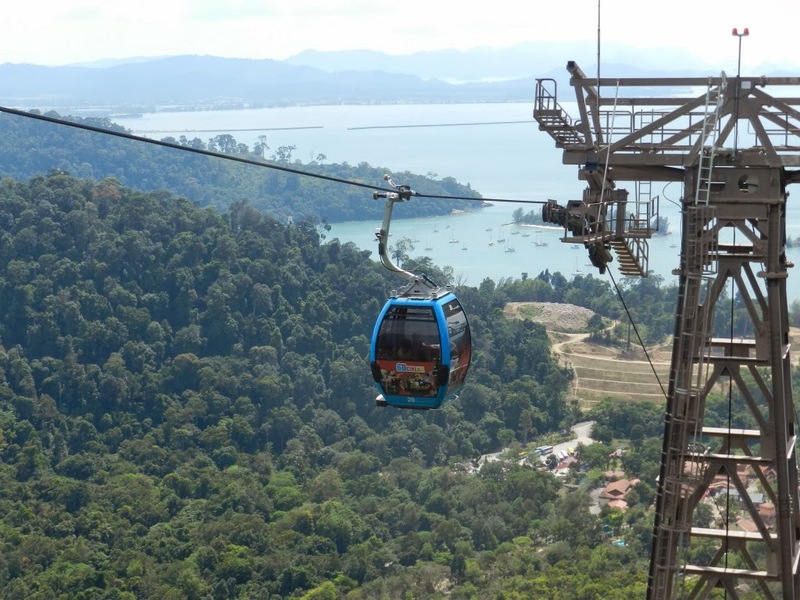 The village offers more than 50 shops, restaurants, and activities to chose from, but we had just one in mind...the Langkawi Cable Car. The Cable Car is the hub of the Oriental Village, and takes passengers on a crazy ride to the peak of Mt. Chinchang and the Langkawi Skybridge. 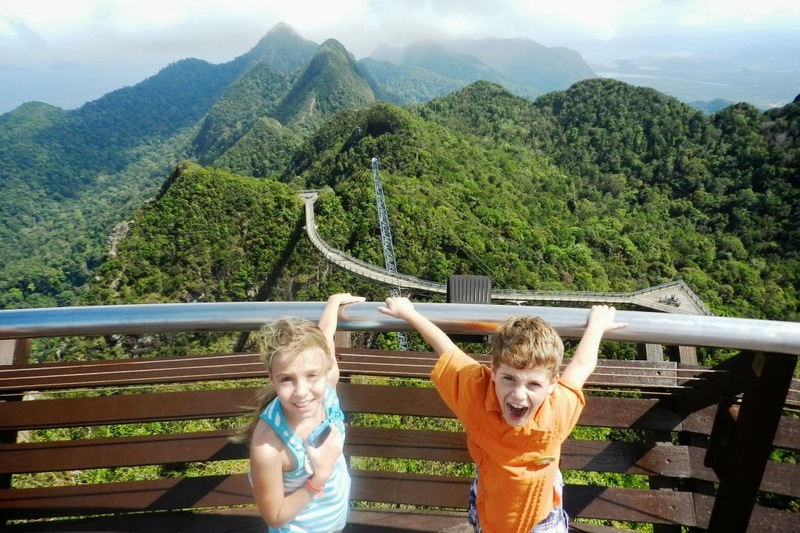 Though the skybridge itself is closed for renovations, the cable car ride and view from the three observation decks ABOVE the skybridge are still amazing. 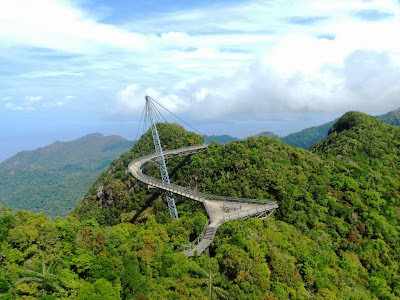 Besides, it removed the possibility that I might be too afraid to walk out on the 400 foot long, curved bridge that's precariously balanced across the mountain peaks. The thing just doesn't look safe! The views were really amazing, and the kids loved watching the clouds blow through the mountain passes below us. Cooper insisted it was the coolest thing he's ever done...which he says about almost everything. You've gotta love how "in the moment" that kid is! Sophia loved it as well, after she got over her initial fear of the very steep cable car ride to the peak. 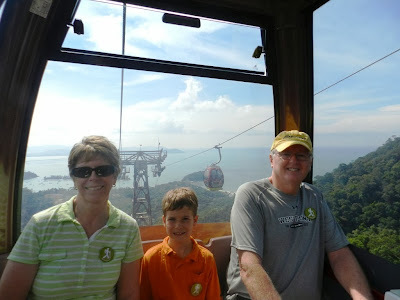 Our second excursion in Langkawi was much closer to sea level. In fact, it was exactly at sea level. 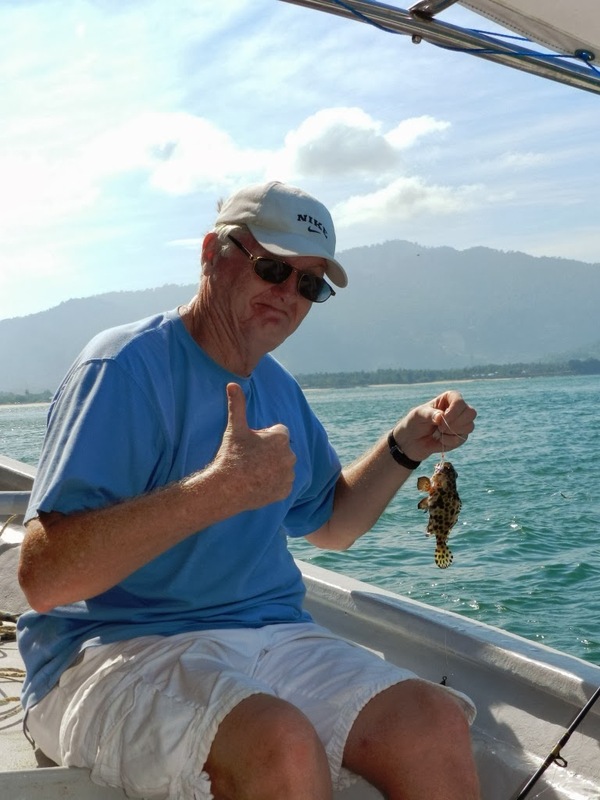 As one of the world's most active fisherman, it was no surprise that Grant wanted to try his luck fishing the waters of the Andaman Sea, and so we booked a half day trip through the hotel activity desk, and headed just off the coast for Barracuda and a variety of other fish. Sophia, Cooper, Jennifer, Grant and I headed out on the morning trip, but unfortunately, my luck on fishing trips (or lack thereof) followed me and we didn't fare too well. We completely struck out with the Barracuda, but Grant and Jennifer managed to catch a few Kerupa and Sophia and I both caught tiny reef fish. Cooper managed only to catch a good tan, but he was as happy as could be checking in the sights. 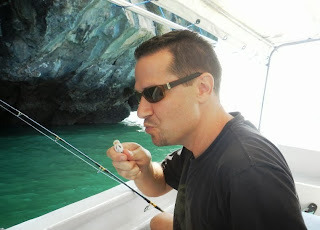 Though we didn't catch much, it was a really enjoyable day on the water. 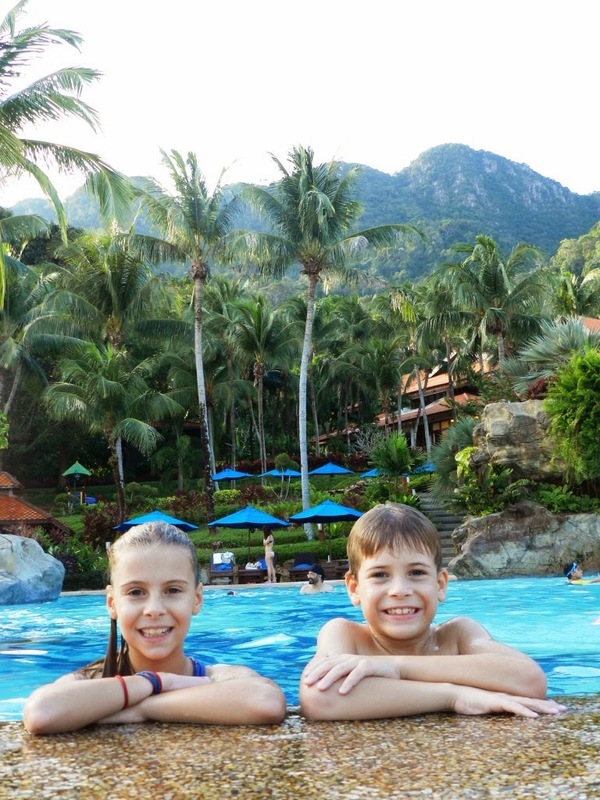 On our final evening in Langkawi, we headed back to the Oriental Village for dinner and to do a little shopping. Unfortunately, most of the shops were closing up early (Sunday evening) when we finished dinner, so shopping was limited. But Sophia found a souvenir elephant to add to her collection from our journeys throughout Asia, and Cooper managed to find a toy guitar. The kid likes what he likes. 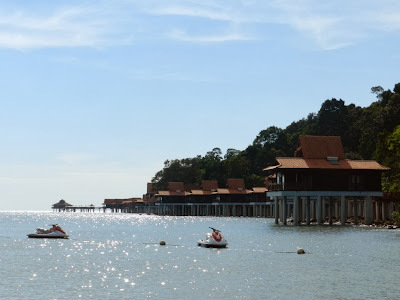 While Langkawi was far less "culturally stimulating" than much of our recent travel, it was truly enjoyable. 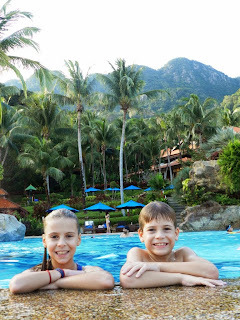 The beach and pool offered a great alternative to wet and rainy Singapore and our visit just a few days before Christmas was a very relaxing one. Now, with only a couple months left before we leave Singapore and return to reality in the US, we have officially started the countdown. Our "bucket list" is long, so you can expect to hear from us again soon! Well folks, the fairy tale is coming to an end in 2014. 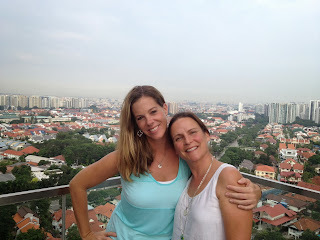 This past year has been our only full year in Singapore and what a year it's been! This year has also been incredibly special because I was able to observe my stubborn, opinionated, sporty tomboy of a girl, Sophia, find her first "best friend". If ever two young girls were friend soul mates, these two are it. We're already talking exchange student plans when we both return to our homes in the USA and Sweden. And the fact that her parents are two of our very best friends here is pretty awesome. We're hoping to host them at our house next summer! Ranking high up on the memories list will be all the visitors we had this year. Starting with Jason's parents, Ed and Sharon, in March, my brother Scott, his wife Kristen and two of their kids, Jackson and Olivia in August, our Aussie friends, the Vogers, in October and my parents, Kathy and Grant, in December - it's been a full house of fun! We are more than thankful that all of these people spent so much money and travel time coming to our tiny part of the world. Each visit was priceless (all in different ways too!) and I hope they came back with as many wonderful memories as we did. So here I am - the guests are gone, the holidays are over and now it's just the countdown. With basketball games, school projects and moving plans all on the schedule, the time will fly. But I'm not going to dwell on that now, I'm just enjoying the time I have left and my fabulous memories of 2013. So for my New Year's resolution...hmmm. I really never make one because I think it's silly. But if I had to, I think I would try to be a better wife. I think I'm pretty skilled at the mom job, but even after 12 years I definitely have room for improvement in the wife category. I could definitely be less controlling, more patient and generally try to stop nagging the poor guy so much, among other things. Thinking about it, I'm pretty impressed he still likes me after all these years! Feel free to ask him next New Year's Eve to see how that went. In reality, the fairy tale is not ending. It's just moving to a new setting. P.S. The title of this post comes from a very vivid memory of my Grandma Ford. We were watching Wheel of Fortune once (she loved it) and I am NOT kidding - the clue was "What a Difference a Day Makes" and she got it in four letters. It was pretty amazing.